competition Routine Form 42 Tai Chi (6-10 minutes) lately. aging and could be the perfect activity for the rest of life. Why chose Tai Chi as a regular exercise? strong and prolong life. The benefits have been confirmed by 700 years history. feel very weak, or is recovering from some severe diseases. coordination, some healing effects, and prolong life, et al. Tai Chi has three major components—movement, meditation, and deep breathing. chi. 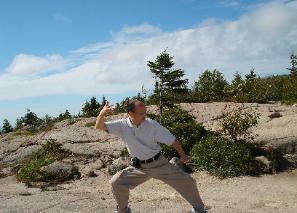 Tai chi improves balance, agility, strength, flexibility, stamina, muscle tone, and coordination. preventing the development of osteoporosis. anxiety, and lowers blood pressure and heart rate. body is supplied with fresh oxygen and nutrients. to the harmonizing of mind and body such a practice undertakes. 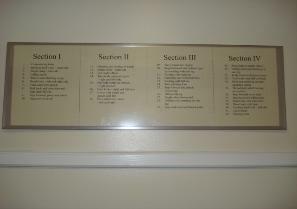 Just make your interest known to your acupuncturist when you come to this office! 2.青山, 石恒 《杨式太极拳 发劲、运气、练势》, 北京体育大学出版社, 1994. 3. Harvard Health Publications, The health benefits of Tai Chi. http://www.health.harvard. Windham NH, Andover MA, Dracut MA, Haverhill MA, Lawrence MA, Lowel MA, Methuen MA, Tewksbury MA.